Who Is Barack Hussein Obama…Sorebarkah? Obama has another last name: Sorebarkah. This name appears on the recently discovered 1968 application Obama’s mother filled out in Hawaii to extend her 1965 passport, and it ties Obama with the Indonesian Cult Subud. He took the name as part of the cult’s tradition. The World Subud organization seems to have been based in…of all cities…Chicago! And, Subud was introduced to Hawaii in the 1960s. Indonesia…Chicago…Hawaii… three places all linked to Obama’s life. Loretta Fuddy, the Hawaiian State Health Director who approved the release of Obama’s long form birth certificate, and who recently died in a mysterious plane crash, was also a member of the Cult of Subud. Her cult name was “Deliana”. The Cult of Subud was founded by Muslim Muhammad Subuh Sumohadiwidjojo. Just look at his picture, see any resemblance to Obama?? The Cult of Subud was founded in the 1920s and currently has around 20,000 members. We elected our 44th President, Barack Hussein Obama (Sorebarkah), without knowing who really is. But finally, the truth is starting to come out. One of the unexplained mysteries in the scanty documentation of the early life of the 44th President of the United States is the appearance of the name Soebarkah as his last name on an official document filled out by his mother. In a recent contribution to American Thinker, Nick Chase offers very persuasive evidence that the long-form birth certificate released by Obama is a forgery. Finally, we have Stanley Ann Soetoro’s 1968 application to extend her 1965 passport (now destroyed) for an additional two years, as shown in Figure PPA. On the second page of the application, Ann moved to exclude her son Barack Hussein Obama (Soebarkah) from her passport, but the item has been crossed out — perhaps on the advice of the consulate in Jakarta, as this would have left seven-year-old Barry passportless — so it didn’t happen. The appendage “(Soebarkah)” has never been satisfactorily explained by anyone, and I certainly don’t know what “Soebarkah” means, but it does seem to indicate a name change or change in citizenship status for the boy. Clearly, just what constitutes “a satisfactory explanation” varies with respect to persons, subject matter, context, and so forth. And yet, there is a very good — and simple — explanation for the seemingly random appearance of the sobriquet “Soebarkah” on Mother Soetoro’s passport application. Believe it or not, the reason may be linked to one Loretta Fuddy. Yes, that Loretta Fuddy — the Hawaii state health director who approved the release of Obama’s long-form birth certificate and who has apparently succumbed to a nasty case of post random plane crash induced arrhythmia. Ann Soetoro and Loretta Fuddy appear to have one very odd thing in common: both have been linked to the Subud cult, which originated in, of all places, Indonesia and was founded by the Javanese Muslim Muhammed Subuh. The smallish cult appears to have had, at least circa 2001 and according to this profile of sorts in the Honolulu Advertiser, 20,000 members worldwide. Notice the picture of Deliana Fuddy, then “regional helper” and member of the faith? Let’s return to her Subud status in a second. Note also that the World Subud organization seems to have been based in, of all cities….wait for it…Chicago. Indonesia…Chicago…Hawaii… three locales linked to Obama’s life. Next, observe that the Advertiser article states that Subud was introduced to Hawai’i in the 1960s (more on this in the conclusion). Now to Ann Soetoro. She was linked to Subud by her biographer (and New York Times reporter) Janny Scott (Harvard ’77) in the book A Singular Woman: The Untold Story of Barack Obama’s Mother,” reviewed by the New York Times here. Loretta Fuddy was more than merely a follower of Subud; she worked her way up the ranks and became chairwoman of Subud USA, based in Seattle from 2006 to 2008, and was known to Subud not merely as Loretta Fuddy, but as “Deliana” Loretta Fuddy. In fact, you can see that in its headline, the official Subud “memorial” page drops “Loretta” and refers simply to “Deliana” Fuddy. Ann Soetoro’s close association with members of the Subud cult will be documented below. But first, note in passing that of all the persons — Christian, Jew, Muslim, Buddhist, Atheist, Hindu, or you-name-it — that could have been installed as Director of the State Department of Health in Hawaii, Hawaii alighted on Fuddy — a leader of a small cult with roots in Indonesia and connections to Ann Soetoro — Obama’s mother. Second, observe that Fuddy assumed the Director position in Hawaii in January 2011, just a few months before the release of Obama’s long form birth certificate. 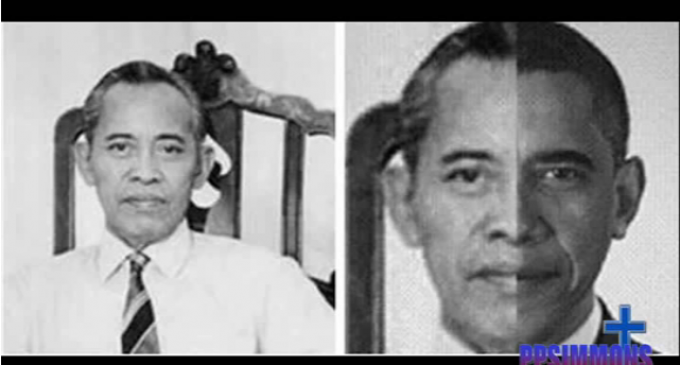 Now to Ann Soetoro’s links with Subud and to a brief discussion of the Barry “Soebarkah” mystery associated with Ann Soetoro’s 1968 passport renewal application. But what might the Ann Soetoro, Deliana Fuddy, Subud links really have to do with the sobriquet Barry Soebarkah? Question:1 Many people in Subud change their names. Is this necessary? Is it important? How does the change of a name affect us? Physically, spiritually or both? Bapak: Brothers and sisters, whether it is necessary or not depends on what you want…. If changing one’s name for “spiritual reasons” was something frequently done by followers of Subud’s Bapak, and Stanley Ann Soetoro was in fact closely associated with Subud, it is reasonable to suppose that “Soebarkah” arose in the same way new names for others (like “Deliana” Loretta Fuddy?) associated with Subud did: as a matter of course depending on the case. But there is something else. The above biographical material bonds Ann Soetoro to Subud members via an English language, business communications department post. According to the New York Times here, that would have been around 1970 or 1971. However, the passport renewal application with the name “Soebarkah” dates to 1968. This suggests that either the “Soebarkah” handle came from nowhere, or that matters are as we have discussed and that Ann Soetoro in fact came to Subud before 1970 — perhaps in Hawaii. Clearly, we might want to recall that the above linked Honolulu Advertiser Subud profile indicates that Subud was introduced to Hawai’i in the 1960s. The name Barack Hussein Obama (Sorebarkah) is crossed out. Nick Chase has concluded that this signifies that Ann Soetoro had improvidently decided to exclude Barack from her passport renewal. Chase thinks that Soetoro changed her mind about exclusion after having been informed by the Consulate that doing so would leave Barack passportless. But there is another possibility — one just as valid on its face. What if Soetoro was trying to include Obama in the renewal, but she wasn’t able to produce a birth certificate, and the Subud name “Soebarkah” just didn’t do the trick? (hat tip Louise Hodges for the “inclusion” possibility; one can’t be certain why she did not link the inclusion possibility to Soebarkah). Of course, we might then have to wonder exactly how Obama did his traveling at certain points in time, but then perhaps Subud is, at least at times, more than a mere cult?